Really, the only reason I created this site was because quite a number of people had asked how to make this Finnish Squeaky Cheese. I figured if some asked, then that means surely others would be interested or curious, too. It has been really fun to see how many people have watched the video, and have been interested enough to actually make it or pass the video on to others. It has been a fun tradition for me to pass on, and hopefully through this many more will do the same. 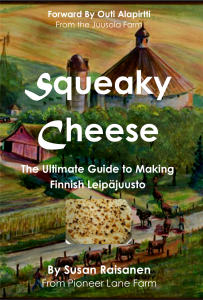 Squeaky Cheese: The Ultimate Guide to Making Finnish Leipäjuusto. On Amazon. 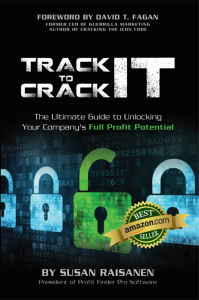 Track It to Crack It: The Ultimate Guide to Unlocking Your Company’s Full Profit Potential. On Amazon. 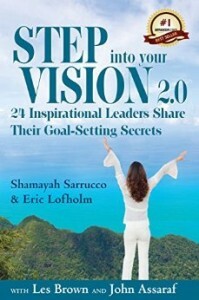 Step Into Your Vision: 21 Inspirational Leads Share Their Goal-Setting Secrets 2.0 (Co-authored with Les Brown & John Assaraf) On Amazon. 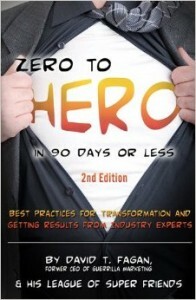 Zero To Hero In 90 Days Or Less. (Co-Authored with David Fagan.) On Amazon.